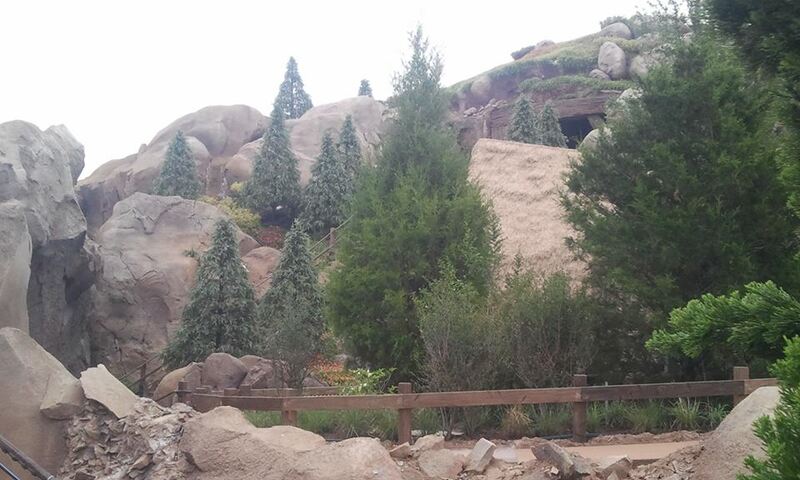 As soon as an opening date (May 28th) was announced for Seven Dwarfs Mine Train, we set out to obtain our Fastpasses. Of course, we weren't the only ones with this bright idea and ambitious goal. The first date we were able to get that worked with our schedule was June 8th. Eh... not quite good enough, but we took it. Meanwhile, Disney appeared to have the ride in soft-opening mode... social media reports revealed that the ride would run sporadically and sometimes guests were selected randomly for a ride offer... sometimes the standby line was open. Speculation was that Memorial Day weekend would see the ride running quite a bit. My son and I were planning a Star Wars Weekend visit for Sunday, but when my husband found the abruptly released Fastpass+ option open for Mine Train, I knew we were going to have to take a quick detour on our way to Hollywood Studios. Snagged - secured - done! 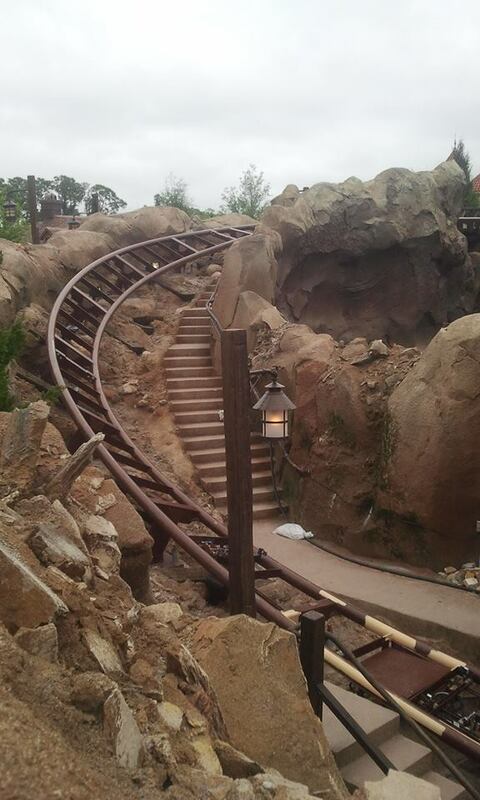 I rode Thunder Mountain just before my Mine Train reservation... for the sake of comparison. 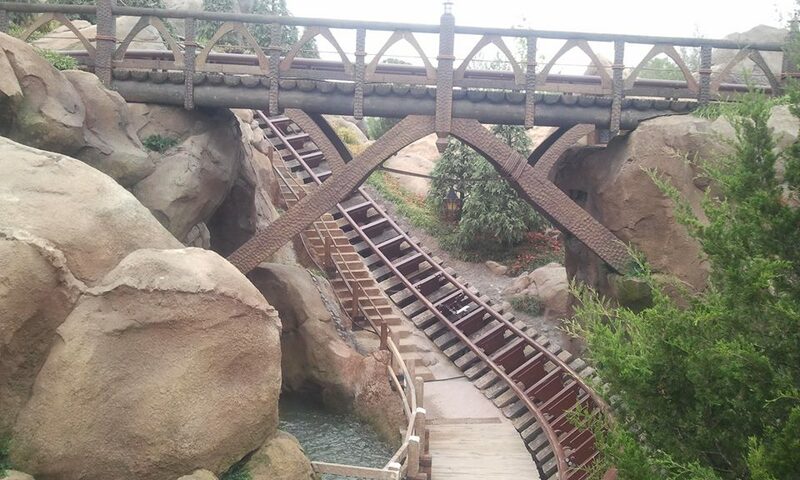 Turns out, I was pretty on-target with my assumption that Mine Train would be comparable, and midway between this and Barnstormer, but I was wrong to fear that it would be another disappointment. We lined up for our Fastpass spots about 10 minutes early. The ride was only running in test mode, with no riders, so there was a small line building up at Fastpass return - no standby option allowed at that point, as they were even telling us that they didn't know when - or even if - the ride would be back up that day. Some people in line chose to move on and check back later. We were all in agreement that we were staying right there - no matter what. We soon saw a maintenance Cast Member ride through, and when he emerged in one piece at the exit, everyone remaining in line seemed to chuckle that this was a good sign we would soon be safe to proceed. A crew of Cast Members shortly approached the entrance queue, chatted with their co-workers who had been bombarded by questions and anxious Fastpassers, and that was it... with a lively cheer from the entire Fastpass line, we were green-lighted. Not a bad wait... maybe 20 minutes or so overall. I make two confessions right now - I was so giddy and anxious that I didn't even much glance at the queue area. Considering it was the Fastpass side, I doubt I missed anything. They do tend to save the distractions for the standby queue, where they are much more necessary, of course. Confession #2 - Even with my camera in tow, I didn't take pictures. I know... I'm a horrible blogger. 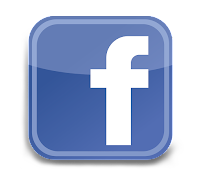 Sorry, I was too intent on the experience this time around. Fortunately, reliable hubby brought his palmed action-cam. 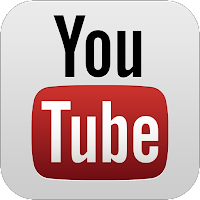 The video covers the entire ride - from Fastpass entry scan to the last step of the exit area. Photos will come on my next ride through. From the moment the ride launched, I was satisfied. 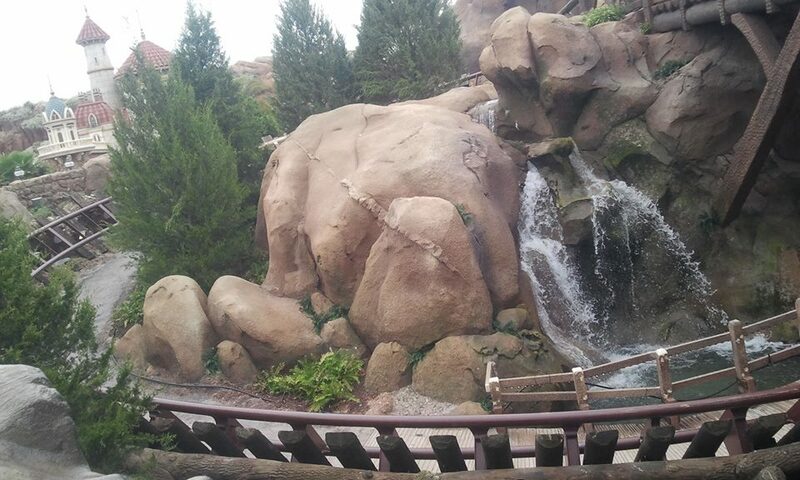 I appreciated a touch that I found to be rather unique - the ride features a sort of "break" halfway through, where the fast-paced action slows for a leisurely visit to observe the hard-working dwarfs. As soon as the day-ending bells ring, HEIGH HO, it is back to the thrills we go! 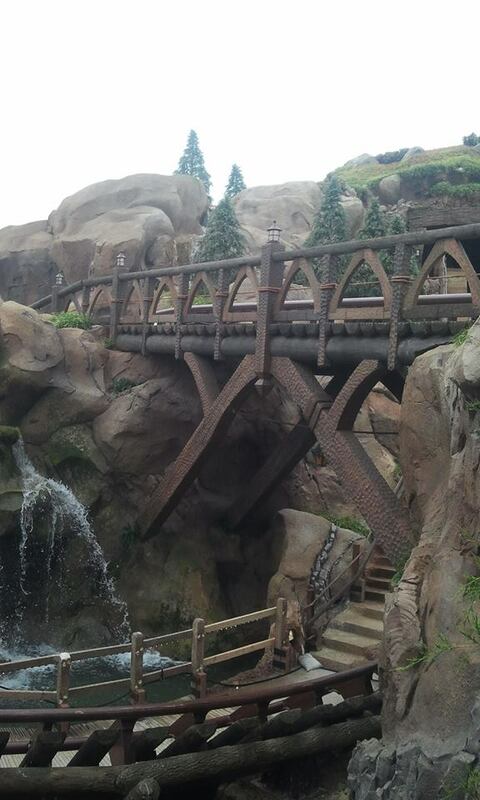 The Seven Dwarfs Mine Train is part indoor, part outdoor, and all WOW! 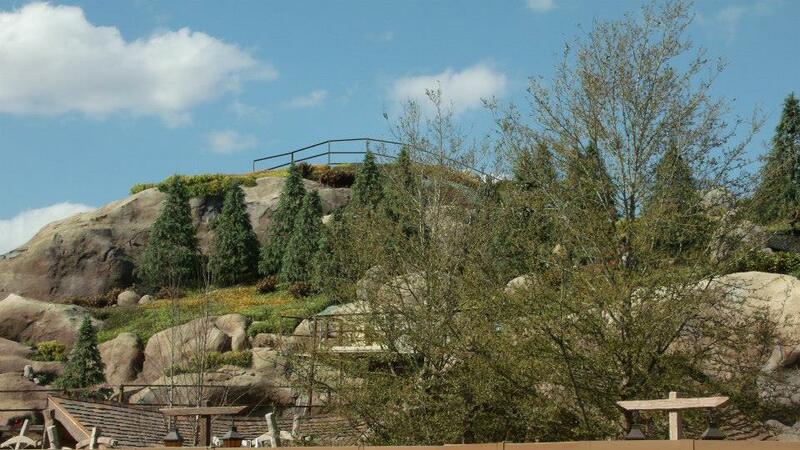 The outdoor portions provide surprisingly scenic views, and the synthetic landscaping of the rolling hills you climb and spiral around become brilliantly believable. I found the mine itself to be beyond charming. The dwarfs were more lifelike than any other animatronics at Disney. 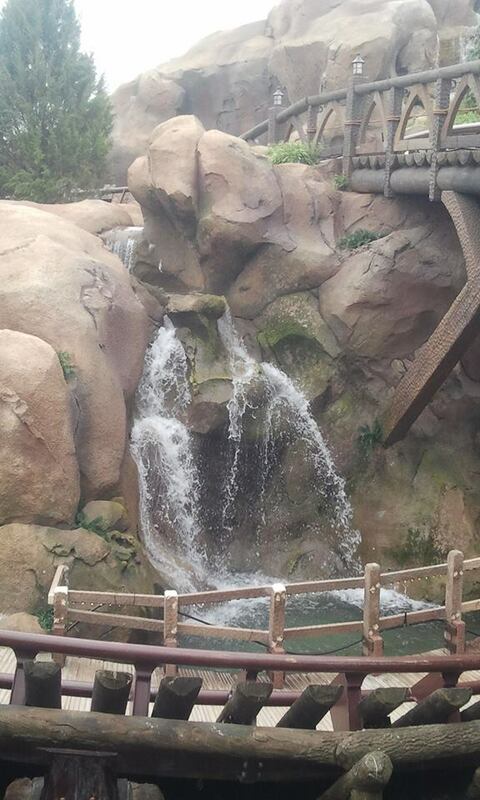 Imagineers - you've thoroughly outdone yourselves. The gems sparkled so vividly, and the marching shadows of retreating dwarfs pulled childlike chuckles from me just before we were sent speeding over another hill. My favorite touch - the elaborately recreated scene of Snow White dancing with her Dopey-topped "double dwarf" in the cottage at ride's end. 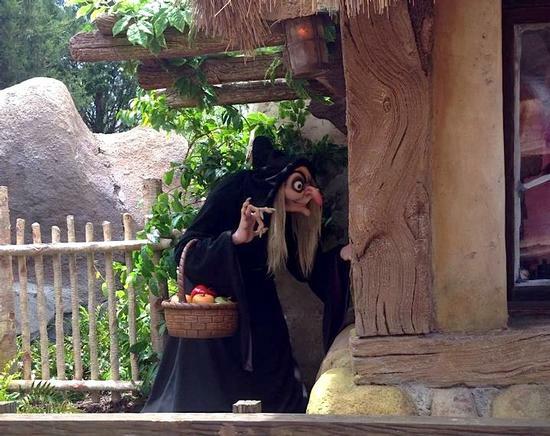 Look for the witch lurking just outside! This ride was exceptionally smooth, and nothing but fun all around!! My family's coaster tastes range from the extreme to the mild-ish. Each one of us agreed that this ride was an absolute hit. There is no doubt that this one will have steadily extreme wait times for quite some time to come, so a Fastpass will probably be mandatory for at least the remainder of 2014. 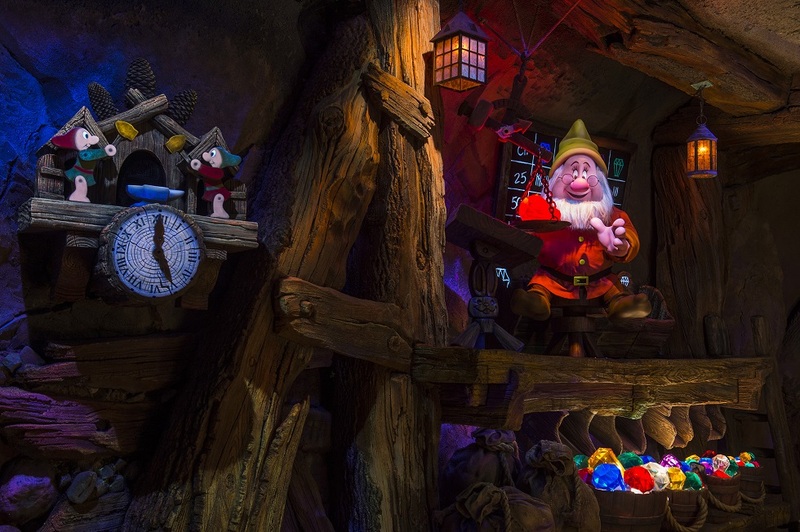 No matter what you have to do to accomplish it, the Seven Dwarfs Mine Train should be one of the highlight goals of your Walt Disney World visit. For the first time in a while, I truly feel that Disney has put their all into this one, and created an authentically NEW attraction. 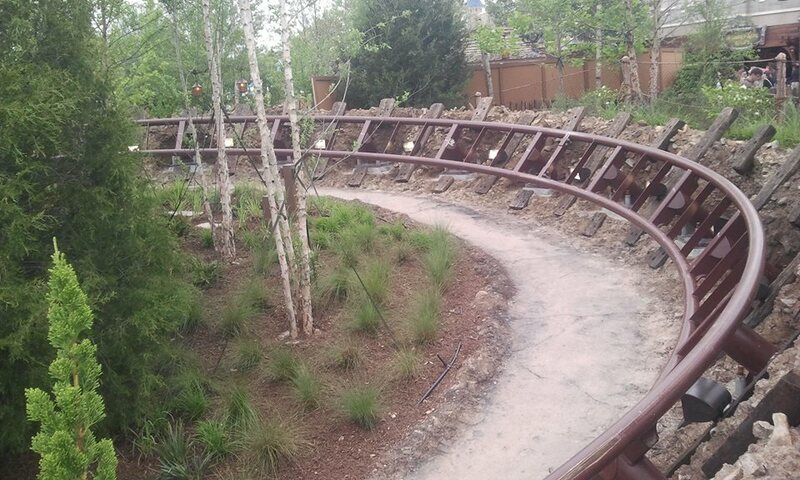 The Mine Train sincerely does live up to the hype. Way to go, Disney! But yes... I still want Snow White's Scary Adventures back. *sigh* What can I say... heck, I'm still bitter about Mr. Toad!